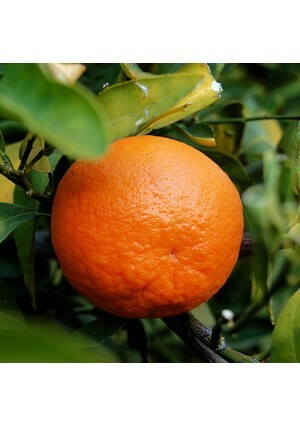 The Dancy Tangerine tree is a large, vigorous tree with dense foliage. It has a tendency to be alternate-bearing. The fruit is usually medium in size and oblate to obovoid in form. The thin, smooth rind is reddish-orange at maturity and is easily peeled. The flesh is a deep orange color, with a rich flavor. The fruits usually contain a moderate number of seeds. Tangerines can be grown outdoors in USDA zones 9 - 11, or as a container-grown tree in other regions of the U.S. if they are brought indoors for the winter. Tangerines are great as a patio plant. In colder climates, simply bring your tree inside and place in front of a sunny window during the winter. The tree produces abundantly indoors or out. Pick fresh fruit throughout the winter! These Dancy tangerines are a Sweet and tasty gift!